The Minecraft Team officially has broken the seal on wide-scale use of its Minecraft Marketplace. Downloads for November were 4,566,013. That’s double the 2,255,888 downloads from October. Once again, free content was a major driver for that growth. But that huge influx of players to the store could spill over into real purchases — especially considering what is launching in Minecraft just in time for the year-end holidays. Beginning today, December 20, The Minecraft Team is launching the Season of Giving event. Only it is Microsoft, Mojang, and its creator partners doing the giving. As part of this celebration, you will get a bunch of in-game content for free. Holiday events are turning into a bigger tradition in video games. A big reason for that is that developers that run games as services want to engage with players who are spending Christmas playing on their new consoles, laptops, smartphones, and TVs. For years now, mobile games have capitalized on that by releasing content just in time for December 25. And now Minecraft and Fortnite are doing the same on console and PC. The Season of Giving freebies include a new adventure map from the creation team Gamemode One called Catastrophic Pandamonium. While that might sound like a disaster, I encourage you to notice the puns. CATastrophic PANDAmonium is indeed a showcase for the cat and panda animal creatures that got an update (cats) or debuted (pandas) in the latest patch. But Catastrophic Pandamonium isn’t the only gift The Minecraft Team has in store for you. You can also get special discounts as part of a holiday deals promotion that is running through January 3. 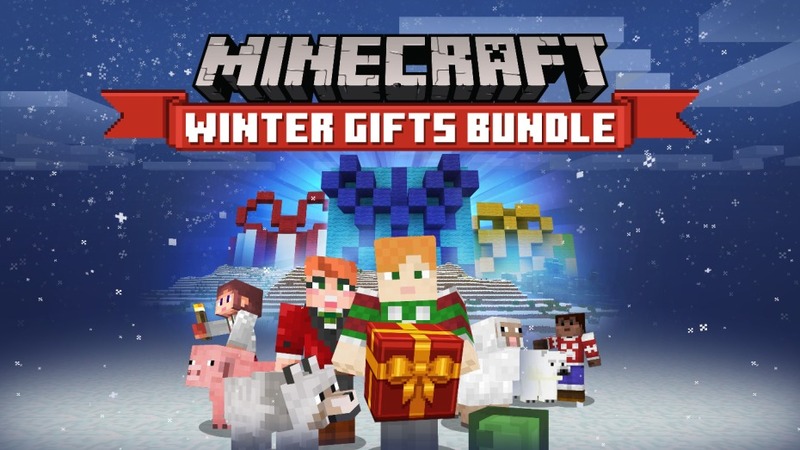 Finally, on Christmas Day, the Minecraft Marketplace is getting a free Winter Gifts Bundle with plenty of extra goods.